If you have weeds in your field after harvest, think about a fall burndown,” says James Ferrier, Nufarm’s technical services manager for Eastern Canada. 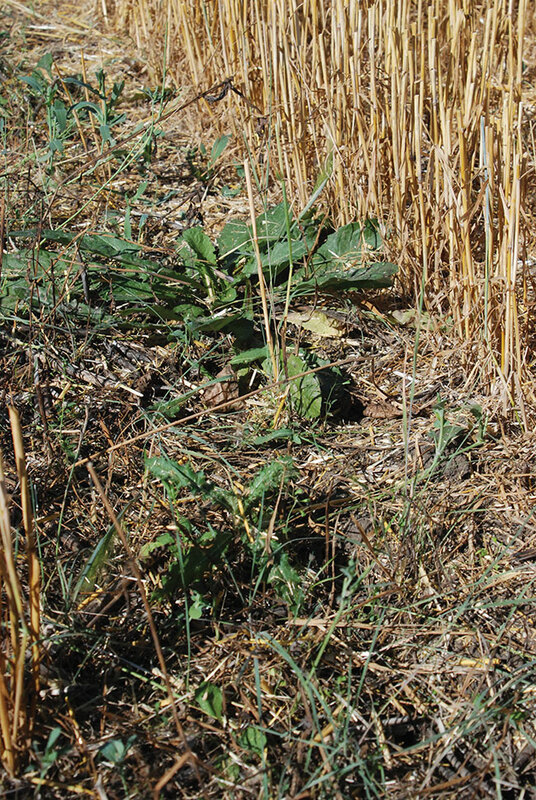 A fall burndown can be an effective tool to manage many tough perennial and winter annual weed problems and provide a cleaner seedbed for your next crop. For many Ontario growers, fall is the ideal time to manage troublesome perennial weeds. 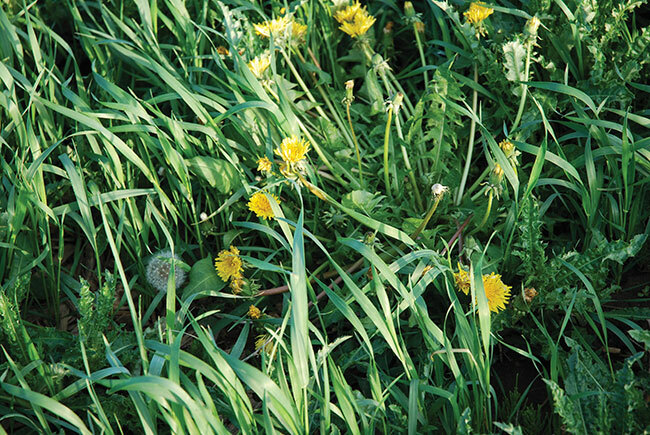 “There are plenty of research trials across North America that show if you manage for dandelions, for example, in the fall you’ll get anywhere from 20 to 30 per cent better control than if you did the same tactic in the spring,” says Mike Cowbrough, provincial weed specialist with the Ontario Ministry of Agriculture, Food and Rural Affairs (OMAFRA). Cowbrough cautions that you shouldn’t expect to kill 100 per cent of the perennial weeds in your fields. “We’ve been trying to eradicate perennial weeds for a couple hundred years and that is not working out. But we do two important things with fall applications on perennials: We lower the weed’s population density, and we get dieback on the roots, so the shoots have to come from a little deeper in the soil and they emerge a little later in the spring than they normally would,” he says. “If you clean up the weeds in your field after harvest, you can start with a cleaner field in the spring,” Ferrier says. Applying a herbicide after harvesting winter wheat is a common strategy in Ontario. “I think a lot of producers are very comfortable [with a herbicide to manage perennials] after winter wheat harvest because you have to manage the volunteer winter wheat and you’re going to use glyphosate to do that anyway. In fact, if you have perennial weeds in a field that just came off winter wheat, I can’t think of any reason why you shouldn’t try to manage those weeds in the fall,” Cowbrough notes. The sprayer miss with green plants (left) contrasts with the effective fall burndown on the rest of this wheat stubble field. “Herbicide resistance is a big topic in our industry. We know that the more often we apply a mode of action, the more likely we are to see resistance to it. We also know that if we can apply multiple modes at different times of the year, we can delay the advent of that resistance,” Ferrier says. “If you have a product like BlackHawk, which contains two modes of action, Group 14 and Group 4, and you apply that [in a tank mix] with glyphosate, you are getting three modes of action, all working on the weeds at the same time. 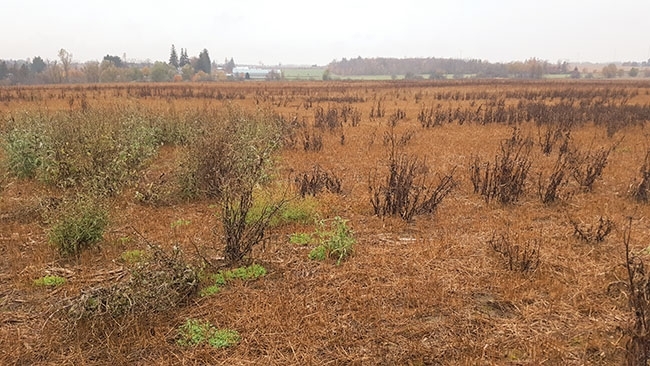 So we strongly suggest that would help delay or avoid development of herbicide resistance in a grower’s field.” For example, he says a fall application of BlackHawk with glyphosate can help manage glyphosate-resistant Canada fleabane, a major weed concern in Ontario. 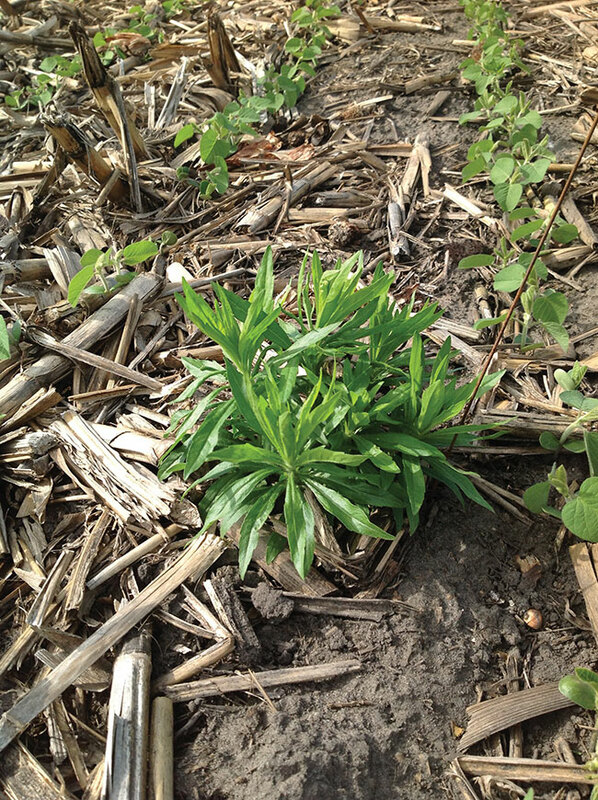 This fall, when you’re assessing the weed issues in your fields after harvest, think about tackling perennials and winter annuals with a fall burndown – before the weeds get bigger and tougher-to-control and before they start competing with your next crop for moisture, nutrients and light.